Voted the #1 Focus on the Family program for 2015, Kimberly and LeRoy Wagner’s interview onFierce Women evoked an incredible response. Requests poured in for a companion book geared directly to men, one that would help men who struggle with loving and leading a strong wife. Men Who Love Fierce Women is that book. 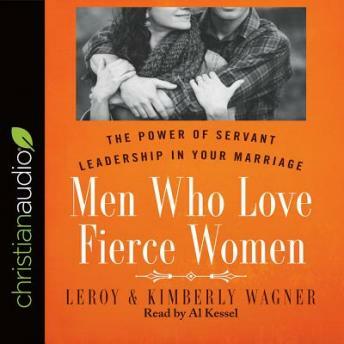 Paralleling the content and chapters of Fierce Women, but featuring LeRoy’s perspective and Kim’s insider insights, it equips men to better understand, love, and relate to their strong wife. Each chapter closes with a study section of diagnostic questions and Scripture to apply the content practically and personally. Men Who Love Fierce Women is flexibly designed to stand alone, pair with Fierce Women, or facilitate for a group study.